A real entry range saber sound board ! 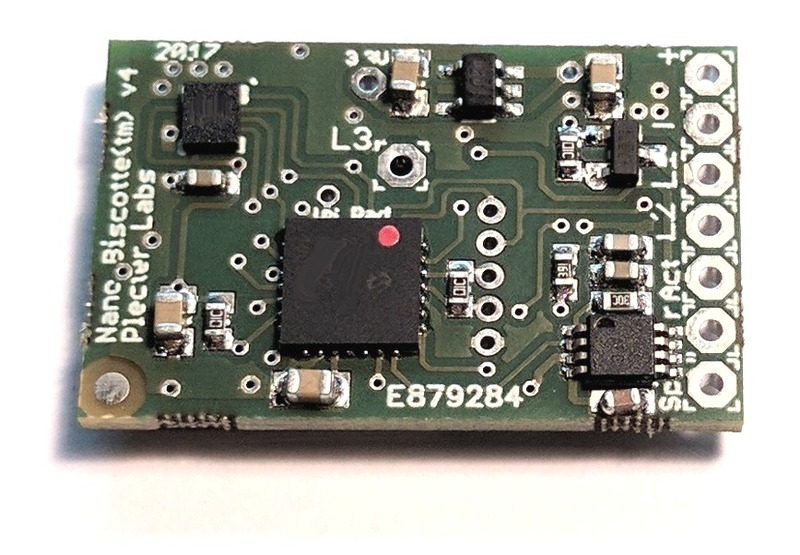 The module plays realistic digital sound effects (22.050 kHz / 10 bit) from a µSD card. Sounds can be changed by the user using a USB SD card reader. The units has several sound slots including power on, humming, swing (16 slots), clash (16 slots) and power off. On/Off control of the module can be done with a momentary switch only (must be purchase separately). Comes with a microSD card. Wiring supplies and speaker to be ordered separately. ►The board comes with 3 sound banks "Light Meat", "GreyMeat" & "Dark Meat" installed on the microSD. You can obtain more sound fonts at saberfont.com, see this page. Dimensions : 28.5x18.5x5 mm (with the microSD card).